Today, the City of New York launched Small Business First to reduce the burden of regulation on small businesses and cut government red tape to make it easier for New York City small businesses to start, operate, and thrive. In business, time is money, and that is why we are committed to reducing the time it takes to deal with the City in half – and ensuring that this commitment reaches every business, in every neighborhood, in every borough. With support from more than 15 City agencies, the Department of Small Business Services and the Mayor’s Office of Operations developed Small Business First to make our regulatory system one that supports small businesses. We worked closely with stakeholders, advocates, small business owners, neighborhood and community leaders, and elected officials, to solicit more than 600 unique comments and ideas detailing the specific needs of small businesses in communities across the five boroughs. Ensure that the system is accessible to all small businesses regardless of language ability or location. The city’s more than 200,000 small businesses create local jobs, anchor our communities, strengthen our economy, and uplift our neighborhoods across the five boroughs. Through Small Business First, the City will continue to work harder and smarter for our small businesses. 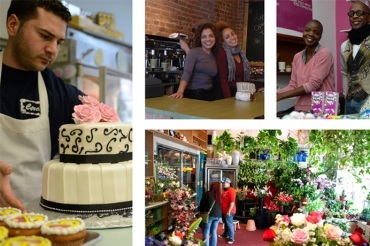 I encourage you to learn more about the Small Business First initiatives and see how they will help your business at nyc.gov/smallbizfirst Please continue to reach out to us at SBS if you have additional thoughts and ideas you would like us to consider. Thank you and we look forward to implementing these critical initiatives and ensuring that the city’s small business owners have the resources and support they need to flourish.